If you love keeping up to date with the latest decor trends, it’s definitely well worth continuing reading in order to discover some of the top home decor trends of 2018 according to Gary Friedman. All of which are guaranteed to add a touch of style to your home. While light wood furniture has been a more popular option than dark wood furniture in recent years, in 2018 you can accept to see a far greater percentage of dark wood furniture such as cupboards, dining tables, coffee tables and bookshelves in your favorite furniture stores. So if you’re looking to invest in a new solid wood table or desk, it’s well worth browsing a few of your favorite stores to see if any models take your fancy. As an added bonus, scratches and marks are far less noticeable with dark wood furniture as they are on light wood furniture. So you’ll be sure to love how low maintenance dark wood furniture is. If you’ve ever toyed with the idea of purchasing an attractive, velvet sofa, now is the perfect time as in the next few months you should expect to see velvet sofas for sale at all of your favorite furniture retailers. If you don’t want to commit to purchasing a brand new sofa, you can still experiment with velvet by purchasing a few cheap velvet pillows, to decorate your sofa or bed with. Stainless steel is set to become of the year’s hottest decor trends. A simple way to experiment with the stainless steel trend is to replace your bathroom and kitchen’s outdated handles and doorknobs with sleek stylish, stainless steel versions. Which you’ll be able to pick up for a few dollars each, from your nearest hardware store. It’s the right time to display your family’s antique heirlooms as antique furniture and decorations are set to make a comeback in 2018. Examples of antique items which you may want to consider displaying in your home include antique grandfather clocks, antique writing desks, and antique cabinets. If your family doesn’t own any antique items, simply attend a local auction or browse through a second-hand furniture store. Where you’re likely to find a wide array of unbeatable bargains. 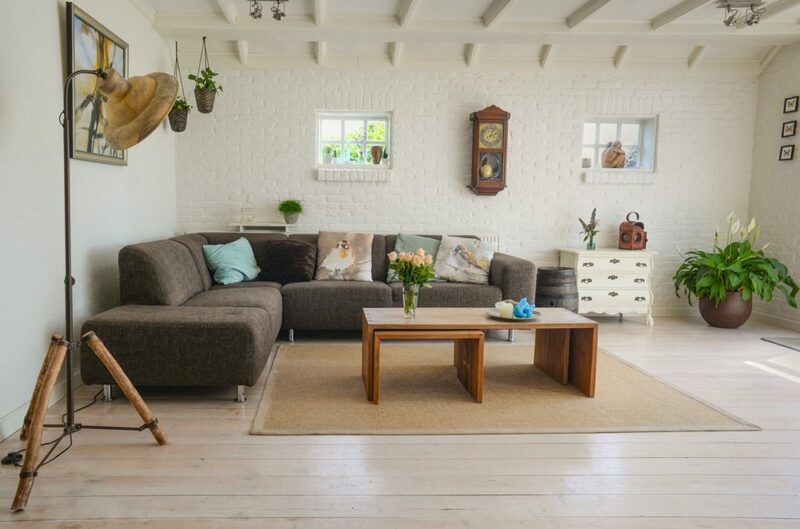 If you don’t like the idea of displaying second-hand items in your home, you’re still in luck as a wide variety of furniture companies are set to release brand new pieces which have been inspired by antique pieces. One way to add a bit of style to your home and to create the illusion of well needed extra space is to invest in a few frameless mirrors which will instantly make each of your rooms feel larger than they are. So whether you simply love the look and feel of spacious rooms or you live in a relatively small home, which is lacking in space, it’s well worth purchasing a few oversized frameless mirrors. So if you’re interested in investing in a few new decorative items, it’s well worth using the above guide as shopping inspiration. For many homeowners, a bright and spacious garden full of flowers, greenery, and other features is a dream come true. Sadly, the reality is that most of us will just have to make do with our small yards, and this is especially true with modern suburban life. However, just because we have to accept that reality doesn’t mean we have to let our yards look drab and uninspired. 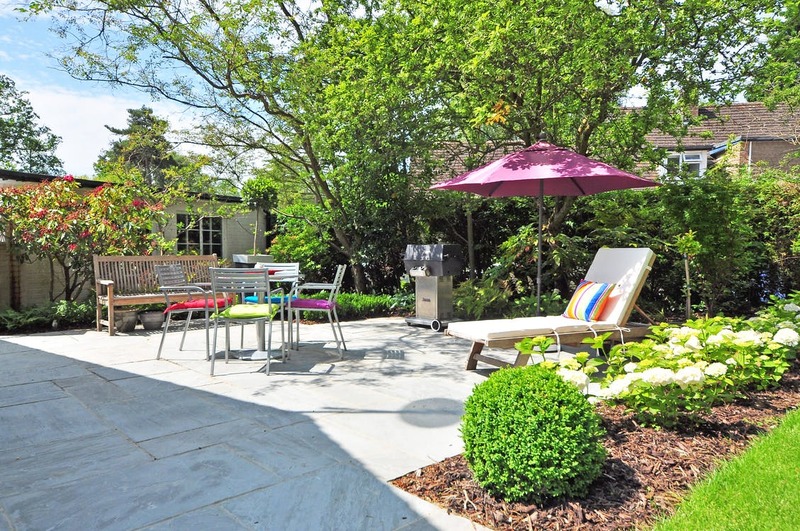 There are ways to maximize that modest space and upgrade our yard’s look. Having a water fountain installed in your yard may sound excessive and intimidating, but in reality they’re simple and uncomplicated set pieces that can really enhance a yard’s look. If you’re worried about it taking up too much space in your garden, there are many smaller models available that offer the same effect but is much more economical in terms of space—as well as in terms of budget. An example of this is a small wall fountain for the garden, which not only runs on a very small compressor but also only needs a relatively small amount of water to work. Our yards may be constrained in horizontal space, but vertically may be a different matter. If there isn’t anything that can limit just how high your garden can grow, such as existing structures or perhaps your neighbor’s fencing, then planting tall plants and trees around your yard is a great option to help make it look bigger and grander. Fruit-bearing trees are also a wonder to see in small gardens, not only to add more color as the seasons roll in but also to give you delicious, home-grown treats to enjoy every now and then. Flowers and other colorful plant life are wonderful in giving life to a garden, but too much in a small yard can make things look disorganized and overblown. However, by making u-shaped keyhole gardens in strategic places around your yard, you can maximize your limited space while still enjoying the colorful effect that live plants can have in any space. This also allows you to diversify the plants you grow—one keyhole garden can have flowers while the other can have herbs for the kitchen, and so on. If you have a deck or porch overlooking your yard, chances are, it could use a good cleaning. Take this chance to give it an entirely new look, either by painting it with an entirely new color or even just giving it a new coat of protective stain and a thorough cleaning. As for the cleaning process itself, while a power washer does make the entire process faster and easier, experts say that it can be too rough on wood—especially if your deck’s been getting on in years. Scrubbing with oxygenated bleach as well as a thorough round of sanding is better for your deck in the long run. During your yard upgrade, you may be tempted to replace your outdoor furniture with newer, stylish models. If you have the budget for it, it’s definitely a solid move to make in giving your yard a new look. However, if you’re looking to save some money or you just can’t bear the thought of tossing what you already have installed in your yard, then simply treating them to some restorative work should suffice. Use a wire brush to remove flaking paint and rust from metal furniture, while those made of wood can be freshened up with a mixture of turpentine and boiled linseed oil-mix. From there, re-stain them to the shade you want with an oil-based varnish or shellac. A great-looking yard doesn’t always have to involve a lot of space. By carrying out the above steps, not only will you be able to give new life to your yard, but also make it more attractive and appealing to look at in the long run.